Mark Boda’s new commentary on Zechariah in the NICOT series from Eerdmans sets the standard for exegetical commentaries on this important post-exilic prophet. Too often Zechariah is bundled in brief commentaries along with Haggai and Malachi. For example, The WBC commentary, for example, devotes a mere 130 pages to the prophet. Joyce G. Baldwin’s useful commentary on Haggai, Zechariah, Malachi in the Tyndale Old Testament Commentary Series was replaced by Andrew Hill still only manages about 170 pages on Zechariah. Boda himself contributed Haggai, Zechariah to the NIV Application Commentary. George Klein’s 2008 NAC commentary is a notable exception trend. Based on questions concerning the unity of Zechariah, commentators often divide the book into two volumes, one on chapters 1-8 and a second on chapters 9-14. For example, the excellent commentary on Haggai and Zechariah 1-8 and Zechariah 9-14 by Carol L. Meyers in the Anchor Bible Commentary. The Old Testament Library commentary by David L. Petersen combines Haggai with Zechariah 1-8, and Zechariah 9-14 are combined with Malachi in a separate volume. By devoting over 900 pages to the whole book, Boda is able to argue that Zechariah 1-14 ought to be treated as a single book despite clear evidence of two or three sections and editorial activity. He does not, however attribute every section to Zechariah the son of Berechiah. The Introduction. The commentary begins with a short, 56 page introduction, including about ten pages of bibliography. Although this seems to be a short introduction, Bod also includes short introductions in the body of the commentary (labeled “orientation”). For example, the orientation section for the first until, the Vision Reports (Zech 1:7-6:15) runs about twenty pages and includes genre, structure, relationship to apocalyptic and relationship to the other sections of Zechariah (intertextuality). Second, Boda canvasses the complicated suggestions concerning the composition of the prophecy. Zechariah 1:7-6:15 contain eight “night visions” and chapters 7 and 8 begin new unites with the phrase “the world of the Lord came to me.” Chapter 9 is a “clear shift in style” marked by the phrase “a prophetic utterance of Yahweh” (mśʾ dbr-yhwh) at 9:1 and 12:1 (23), the same phrase which begins the book of Malachi. Boda argues there is a clear distinction between chapters 9-10 and 12-14, but also editorial effort to integrate the two sections, including most of chapter 11 (25). Despite his recognition of these basic divisions in the book, Bod thinks there is warrant for reading the whole book as a single unit. First, both sections are have intertextual allusions to earlier biblical material (primarily Jeremiah). Second, the prophetic sign-act appears in Zechariah 1-8 and 11:4-6. The shepherd-flock motif is a “skeleton key” for understanding chapters 9-14 (28). Third, similar themes are developed within redactional material which serve to bind the two parts of the book together, including (fourth) a similar movement from restoration to frustration with the pace of restoration due to the leadership of the community. 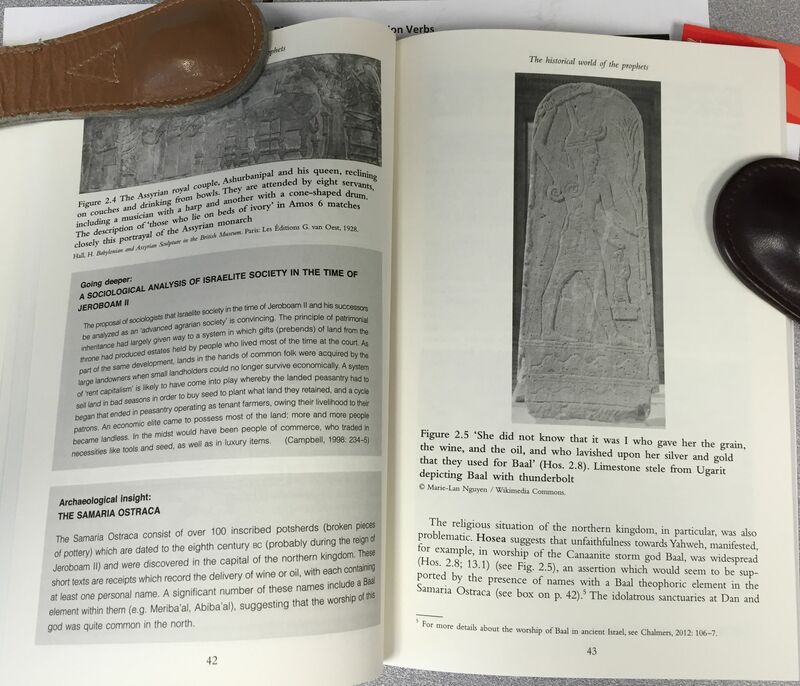 This “connectivity” suggests the scribal tradition joining the two books is “related to the latter’s recognition of an original editorial intention” (29). Boda expands this canonical approach to the book to the rest of the Book of the Twelve by arguing for a striking similarity between the messenger formulae” in Haggai 2:10 and Zech 1:1 (30). Haggai and Zechariah 1-8 came together soon after the completion of the Temple in 520 B.C., chapters 9-14 were integrated with an “already existing Haggai-Zechariah 1-8” (30). In addition to these three books, Malachi was added based on the “messenger of Yahweh” in Haggai-Zechariah to form a prophetic corpus calling on the restored community to return to the Lord (Zech 1:3, Mal 3:7). With respect to dating the original composition, Boda argues chapters 1-8 fit the dynamics of the restoration of the Temple, 520-518 B.C., but the dating of chapters 9-14 range from the eighth to second centuries. Some detect a historical allusion to Alexander the Great in 9:1-8 and possible Ptolemaic Egypt in chapters 10 and 14. That Zechariah 14 is often identified as apocalyptic has encouraged a later date as well. Boda, however, argues the intertextual links in Zechariah 11:14-16 imply a date near the end of Zerubbabel’s tenure, about 510 B.C. (36). The book functions as “a supplemental vision to that represented by Nehemiah’s infrastructural initiatives, reminding both priestly and political leaders of Yahweh’s desire for renewal that moved beyond physical restoration” (37). The third and fourth sections concern the literary form and inner biblical allusions. Zechariah 1:1-6 indicates that the words spoken to the prophets before the exile continue to have meaning to those who are returning to Jerusalem. “My words” and “my statutes” refer to prophecy and the Law of Moses, but Boda argues the forms which appear in Zechariah have been “shaped by the Jeremianic tradition” (40). There are allusions in the book to Isaiah, Jeremiah and Ezekiel, other books within the Book of the Twelve, and the Torah. Boda does not take any time to define what he means by an “intertextual allusion” other than to refer to his earlier work, Bringing Out Treasure: Inner Biblical Allusion in Zechariah 9-14 (T&T Clark, 2003). The “orientations” in the body of the commentary include a section on intertextuality. Finally, Boda offers a few pages on the message of Zechariah which have “enduring relevance for communities of faith who have recognized the authority of this book as sacred Scripture” (41). Of particular interest is “Zechariah for today.” Several New Testament writers were influence by the book and used elements in their presentation of Jesus as the fulfillment of prophecy. The book continues to be applicable as a warning to believers that sin still can easily entangle communities and individuals. The Commentary. The body of the commentary resembles other volumes in the NICOT series. Boda offers a fresh translations followed by textual notes, a running phrase-by-phrase commentary on the text. Textual notes on the translation include syntactical options and variations from the Old Greek, Vulgate, or other ancient witnesses. Because the text of Zechariah is difficult, these notes sometimes appear on almost every word of the translation. On 9:11-13, for example, there are 24 notes; on 11:4-12 there are more than three pages of notes! By placing these technical details prior to the commentary proper, the body is more useful for readers who are more interested in the meaning of the text. All Hebrew appears in transliteration in both the body of the commentary and in the footnotes. Given Boda’s interest in intertextuality, it is not surprising the commentary is rich with possible allusions to other text in the Hebrew Bible. For example, on Zechariah 9:9, he suggests the verse is “reminiscent of earlier expectations of Haggai and Zechariah 1-8” (565). Commenting on Zechariah 12, he says “earlier textual traditions have played a key role in the shaping of 12:2-13:6” (696), primarily Ezekiel 36, but “the vocabulary of 13:2 echoes Ezek 14:1-11” and the cleansing contained in 13:1 “reflects the river of water which flows from the temple in Ezek 47:1-12” (696). The section is also “reminiscent” of Isaiah 51 among other texts. A potential objection here is the dating of Ezekiel, since it is possible the final form of Ezekiel is later than the composition of Zechariah, about 520 B.C. according to Boda. Although I consider Ezekiel to predate Zechariah, it is at least possible Zechariah and Ezekiel represent common tradition in this particular example. Zechariah and Apocalyptic. Boda’s commentary reflects in part an ongoing discussion of the genre of Zechariah. Since chapters 1-6 are a series of visions which include strange imagery and an angelic guide, the book is sometimes associated with apocalyptic literature. The final two chapters of the book are concerned with eschatological battles using apocalyptic language. Since imagery from Zechariah is used in Revelation, the book is sometimes considered an example of early apocalyptic. Boda however does not think it is helpful to read the book as apocalyptic since this makes the visions reports refer “strictly to futuristic events, place in the distant future or even eschaton” (102). He argues the vision reports in the book concern recent events in the community, the punishment of Babylon and Persia, and the restoration of the the priestly and royal houses in the new province of Yehud (102). It is in fact dangerous, says Boda, to use the term protoapocalyptic because “it encourages treatment of the vision reports as apocalyptic” (102). Perhaps this is the case, but it is possible Boda has protested too much. The genre of apocalyptic does not necessarily require a vision refer to the extreme distant future. For example Daniel 8 is clearly apocalyptic, yet refers to the decline of Persia and the rise of Greece. Depending on one’s view of the date of Daniel, this vision refers to either very near future or recent past. It does not refer to events of a distant eschatological age at all. Perhaps this is an example of hearing premillennial interpretations of Revelation in the text of Zechariah. There is no reason Zechariah could not use a variation on the developing genre of apocalyptic to comment on the struggles of his own community prior to 520 B.C. Conclusion. Boda’s commentary on Zechariah is an excellent exegetical commentary on a most difficult prophetic book. His careful attention to detail makes this commentary one of the best on Zechariah available today. Unlike other commentaries in the Two Horizons series, Lim and Castelo place their theological essays in the context of the commentary itself. Other contributions to the Two Horizons Commentary followed the commentary section with a series of essays on the theology of the book. In this commentary, Bo Lim writes an introduction to theological exegesis (chapter 2) as well as the commentary on text of Hosea. Daniel Castelo contributes an introduction to theological interpretation of Hosea and four essays on theological topics emerging from the book. Castelo’s opening chapter to the book is a primer on Theological Interpretation especially as it pertains to Hosea. He observes that defining what is meant by “theological interpretation” is difficult. How is interpretation theological? From the older systematic vs. biblical theology perspective, the answer might have been “interpretation is not theological.” For example, Castelo argues it is legitimate to search the Hebrew Bible for the Trinity, even though the idea of a Trinity is a later theological construct built on the New Testament. Theological interpretation is a kind of “search for Christ” in the Hebrew Bible requiring a “spiritual reading” which employs “allegory, typology, figuration, and the like” (17), but a spiritual reading which is guided by the Holy Spirit (19). Castelo suggests a three-fold structure for Hosea which recognizes the context of Hosea but points to larger, canonical, salvation history issues. His “rebellion, judgment, return/hope” triad is common in the prophets, as is Hosea’s emphasis on the collective sin of Israel (23). Although I continue to be suspicious of theological interpretation, Bo Lim’s introduction to theological exegesis provides some relief. The Hebrew Bible is indeed canonical scripture for the church (27) and Hosea is part of the story of salvation history played out over the whole canon. Canonical placement is important, Hosea is to be read and re-read intertextually as part of the book of the Twelve. For Lim, the collection of twelve books was intended to be read as a theodicy responding to the fall of Samarian and Jerusalem. The book reached its final form in the postexilic period and now serves as an introduction to the Book of the Twelve (34). With respect to theological exegesis, Lim follows Michael Bakhtin’s suggestion that texts operate on a dialogical level. Rather than breaking Hosea into monological units (which he observes results in an incoherent book), Lim wants to read the final form of Hosea in dialogue with the rest of the canon of Scripture as well as its reception by God’s people (36). It is a mistake to read Hosea’s ethical and theological vision solely in the context of the eighth century B.C. Lim therefore calls attention to the way Hosea has been read as anticipating the “Day of the Lord” after the Babylonian exile and in the New Testament (citing Acts 3:18 and 1 Peter 1:10-12). In addition to the clear parallels between Hosea and Amos, Hosea’s theme of return to the land is found throughout the Book of the Twelve and his marriage metaphor frames the collection (Mal 3:1). The body of the commentary is broken into ten units, all written by Lim. He moves through larger sections, commenting on key vocabulary but does not attempt to comment on every phrase. He interacts with secondary literature throughout the commentary, although Lim is more concerned with interpretation than some of the more difficult problems of Hosea’s text. Hebrew occasionally appears in the body of the commentary accompanied by transliteration. Lim’s discussion of the marriage metaphor the first three chapters of the book is excellent, balancing parallel material from Assyria with modern accusations of misogyny and violence. For the most part, Lim’s theological exegesis is identical to a typical commentary, although he occasionally begins a paragraph with “at the canonical level…” His comments on Hosea 6:1-6 demonstrates his dialogical method. By reading 6:4-6 as the Lord’s response to 6:1-3, the Lord’s displeasure with sacrifice evokes the lack of both knowledge and loyalty in Israel (134). He then draw the implication to confessional orthodoxy: sincerity is not enough, sola orthodoxa, sola veritas will not do (135). This looks like good exegesis which takes into account both literary and cultural context and draws significant application to contemporary issues. With respect to Hosea’s children, Lim observes sees the “not my people” becoming “my people” as an anticipation of the inclusion of the Gentiles (citing Rom 9:25-27 and Eph 2:12). This is an example of interpreting a text across the canon and (perhaps) taking into consideration how Hosea was received by later Christian interpreters. However, that God’s people would be expanded to include the Gentiles is not at all the point of the eighth century B.C. prophet. Neither a canonical reading of Hosea within the Book of the Twelve nor Jewish reception of this text during the exile or in the post-exilic period would interpret the Gentiles as the “not my people” in Hosea. In “Marriage, Sexuality, and Covenant Faithfulness in Hosea,” Castelo discusses the problem of the marriage metaphor in Hosea. It is the dominant metaphor for God’s relationship with Israel, but there is something disturbing in the books description of Israel as an unfaithful wife and prostitute. One problem according to Castelo is contemporary images of marriage and unfaithfulness. Attempting to draw out theological and practical implications, Castelo suggests Hosea’s sexual imagery “beckons readers to become re-enchanted with sexuality as something holy, interpersonal and mysterious” (193). By drawing analogies to contemporary marriage therapy, Castelo misses the important point the text of Hosea actually makes: Israel has been unfaithful and will go into exile for a period, yet me restored to her original virginity in the future when God woos her back from the wilderness (2:14-15). That textual meaning can be read across the canon by observing Jesus’ own use of the marriage metaphor in the Synoptic Gospels (see my own Jesus the Bridegroom). The marriage metaphor in Hosea could have been a solid example if intertextual canonical theological interpretation, but this is not exploited in this essay. Conclusion. As Castelo observes, Hosea is a difficult book because “many of its features do not fit easily alongside contemporary sensibilities and though forms” (227). This discomfort finds its way into the commentary at several points, especially in the theological essays. These essays are oriented toward the marriage metaphor than anything. Lim’s commentary on the text of Hosea is excellent and draws on cultural and canonical context to interpret and apply the text judiciously. Castelo’s theological essays are challenging, although less connected to the text than expected. Nevertheless this Two Horizons commentary is a useful contribution to the study of a difficult prophetic book. Aaron Chalmers is head of the School of Ministry, Theology and Culture at Tabor Adelaide and wrote Exploring the Religion of Ancient Israel for Intervarsity’s Exploring Topics in Christianity Series (2012). In this new work on the prophets, he introduces students to the “world” of the prophets. In chapter 1 Chalmers explains defines biblical “prophet” in contrast to modern definitions of prophecy. I too have found my students think biblical prophecy is more or less like Harry Potter meets Left Behind. They seem a bit surprised that my Old Testament Prophets course starts with a lengthy section of social ethics and covenant faithfulness! Chalmers also offers a sketch of how a prophetic book is formed, moving from oral presentation to a written document or collection of documents. He does not shy away from describing some of the prophetic books the results of an editorial process and briefly discusses the “locus of inspiration,” indicating that God;s hand is at work in the whole process, whatever that process might be. He concludes “at the end of the day there is still much we do not know about the composition of the prophetic books,” but this is not really a problem because Chalmers is interested in exegeting the final form of the text (31). Chapter 3 is devoted to “The Theological World of the Prophets.” Here Chalmers primarily discusses two mountains, Sinai and Zion. Sinai represents the Lord’s covenant with his people Israel and Zion represents the Lord’s covenant with David. The first half of the chapter describes the Covenant as it was given on Sinai and shows how this covenant resonates through the prophetic literature. With respect to David and Zion, Chalmers argues the Lord rules through the Davidic kings as a regent, ruling from Zion. This Zion theology becomes the basis of messianic expectations after 586 B.C. Although Chalmers does recognize this development, it is perhaps beyond the scope of his book to tease out those developments in much detail. In “The Rhetorical World of the Prophets” (Chapter 4) Chalmers discusses the unique rhetorical features of the prophets, beginning with the structure of prophetic speech. Included in this chapter is a survey of “prophetic forms” (judgment, salvation, disputation, lawsuit, vision report and action report). The chapter includes some introduction to parallelism as a feature of Hebrew Poetry, but more important for Chalmers is the function of prophetic imagery. Since these features are “easy to over-exegete” (113), Chalmers suggests we read imagery with the context of the prophetic book: what is the point the prophet was making with a metaphor or simile. “From Prophecy to Apocalyptic” (chapter 5) focuses on this particular form of prophetic speech found in Daniel, Zechariah and other parts of the later Old Testament. Chalmers describes apocalyptic as a visionary mode of revelation often mediated through a third person (an angel, for example), set in a narrative framework. These texts tend to focus on the “end of history: in order to encourage the reader during a time of crisis. Using an impressionistic painting by Claude Monet as an example, Chalmers urges would-be interpreters of Apocalyptic to focus on the ‘big picture” not the details. With respect to the “big picture,” we can be fairly confident of the meaning of apocalyptic, but less certain when examining the details. This is not far from Brent Sandy’s Plowshares to Pruning Hooks, another IVP book Chalmers cites several times. Perhaps the most interesting chapter is the last, “Guidelines for Preaching from the Prophets.” Along with the conclusions to several chapters, this guide to preaching these difficult books will be welcomed by pastors struggling with presenting the prophets to their congregations. Despite observing the prophets receive “minimal air time” in the three-year ecumenical lectionary (147), Chalmers suggests it is not necessarily wise to preach through a prophetic book using the “verse-by-verse” method some expository preachers prefer. It is in fact difficult to develop appropriate analogies for application since the books themselves are focused on their own theological agenda. As a potential avenue of application, Chalmers suggests observing the witness of the New Testament and the fulfillment of the prophets in the person and work of Jesus, although he warns against leaning too heavily on the “promise fulfillment” method found in popular preaching (158). With respect to “future fulfillment,” Chalmers devotes several pages debunking the widely influential (and very outdated) approach of Hal Lindsey. This over-literal interpretation of prophecy tends to read Ezekiel through the lens of current events in the Middle East and completely miss the rich meaning found in the actual text of the Bible. I wholeheartedly agree with the point of this section, however I do think there are parts of the prophetic books which really do concern a future eschatological restoration of God’s people and a messianic kingdom. This is not to say I would read Ezekiel as referring to the Gulf War, but some of the promises of restoration in Jeremiah or Ezekiel are not fully exhausted in the work of Jesus. Chalmers does not appear to deny this, but it is also not really the focus of his book. The book includes frequent insets and sidebars, illustrations and charts. Some of these are labeled “going deeper” and provide a few lines of extra consideration on some particular aspect of the text. Sidebars labeled “have you considered?” intend to provoke thought or introduce a controversial issue, such as “prophetic plagiarism” (28-9). There are several “archaeological insides” in which texts such as the Cyrus Cylinder and other Mesopotamian parallels appear. Chalmers includes a number of tables offering chronological and historical information. Finally, there are a number of illustrations including maps and line drawings of archaeological items. Each chapter concludes with a “for further reading section.” There are no questions based on the text which could be utilized by a teacher in the classroom that these would not be difficult to add to the text. While all of these various features are valuable, sometimes there are too many on a page. Pages 42-3, for example, contains two photographs with 9 lines caption, two sidebars filling more than half a page, and only 6 lines of actual text. Page 75 is perhaps the worst example since the only actual text appearing on the page is a section heading wedged between a photograph and sidebar. One “sidebar” runs from page 137 to 139, and the rest of 139 contains a Gustav Dore engraving of Leviathan. The contents of this sidebar is good enough to be a part of the main text, setting it off in a gray box does not help the reader at all. In fact, the readability of the text would be greatly improved if the sidebars were more balanced, or the photographs were all gathered to the center of the book. I understand the motivation for placing an illustration near the text it pertains to, but this editorial decision distracts from the overall presentation. It is not a criticism of Chalmers as the author of an otherwise excellent text; an editor ought to have caught some of these issues. Conclusion. Like Chalmers, I have struggled to find a good introductory textbook on the prophets. Since the prophetic books are such a large section of the Hebrew Bible, most introductions try to cover all the books in individual chapters and miss the overall themes of the collection. This book is rich in illustrations of prophetic language from other Ancient Near Eastern cultures, something often missing from basic introductions to the prophets. Chalmers’s approach is refreshing. By focusing on the historical, theological and rhetorical worlds of the prophets he provides the framework for reading the prophets intelligently. This new contribution to the Handbooks of Old Testament Exegesis covers a huge section of the Old Testament canon. Gary Smith has already contributed a commentary on Isaiah in the New American Commentary series (B&H, 2007, 2009), The NIV Application Commentary on Hosea, Amos, Micah (Zondervan, 2001), the Mentor commentary on Amos (Mentor, 1998), as well as The Prophets as Preachers (B&H 1998). Like other books in this series, Interpreting the Prophetic Books suffers from the limitations of the series. Since the goal is a short primer, there is no way for/ Smith to adequately cover even the four major prophets. Since the book is designed to cover 17 books, Smith must dispatch the major themes of each prophet in twenty-four pages (chapter 2) and the historical context in a mere nine pages (chapter 3)! This third chapter also includes a short note on Ancient Near Eastern prophecy and a primer on textual criticism in the Prophets. A valuable aspect of this book is the section on interpretive issues unique to the prophetic books (chapter 4). Smith first deal with the problem of “literal vs. metaphorical.” There are many examples of prophecy which was fulfilled literally (Amos’s prediction that Israel would go into exile “beyond Damascus” Amos 5:27), but there are other examples of prophecy given in poetic language which remain “nebulous” (116). Smith uses Isaiah 42:14-16 as an example of a prophecy that is not particularly specific and contains highly evocative metaphoric language such as describing God’s anguish over his people as like the pain of a woman giving birth. When this kind of metaphoric language is used in a future prophecy, the application is even less clear. Using the example of Isaiah 42:1, Smith points shows how four different commentators read the broad metaphors in quite different ways (120). Second, Smith asks if the meaning of prophecy is limited by its context. For a prophet like Haggai, there is a particular time and place which creates the background context for the prophecy. But an eschatological or apocalyptic prophecy has no immediate connection to the context of the prophet (121) since it refers to something in the future of the prophet and perhaps still future for the modern reader. Sometimes later New Testament progressive revelation makes the prophecy more clear, but Smith urges humility when approaching these prophecies. Third, the conditional / unconditional nature of prophecy causes a number of problems for the interpreter. While some prophecies are explicitly conditional, others do not seem to be conditional yet remain unfulfilled. Smith cites Micah 3:12 as a vivid prophecy of the destruction of Jerusalem that remained unfulfilled after Hezekiah responded properly to the Lord. Smith cites Jer 18:7-10 as a hint many prophecies are conditioned on a proper response even if the original prophecy did not make the contingency obvious. Fourth, Smith deals with the problem of both near and far fulfillments of prophecy. There are many “day of the Lord” prophecies which seem to have a fulfillment in the fall of Samaria or Jerusalem, yet are not fully realized in those historic events. For example, there are many prophecies concerning the restoration of Israel and Judah to the land which are not fulfilled in the end of the exile, such as God “pouring out his Spirit” on his people (Ezek 36:27, Joel 2:28-29). Since most readers of this book will be Christians, Smith discusses the problem of fulfillment of Old Testament prophecy in the New Testament. Sometimes a New Testament writer claims a messianic prophecy is fulfilled even though it is hard to see how that is the case from a modern perspective. For example, Matt 2:15 claims the sojourn in Egypt was the fulfillment of Hos 11:1, a text describing Israel as a child coming up out of Egypt. But in the context, this looks back at the Exodus or forward to a new Exodus at the end of the exile, but there is no clear reference to the Messiah being taken to Egypt as a child. Evangelicals have offered several ways to approach these exegetical problems (double fulfillment, a “fuller sense,” pesher and typological interpretations, for example). Last in this section, Smith asks if prophecy is always fulfilled. This may seem like an odd question, but there are examples when a prophecy seems to clearly predict something which does not occur. Jonah is an obvious example, although implied contingency may be a solution (Nineveh did repent) or near/far fulfillment (Nineveh did fall eventually). In other cases, there is only a partial fulfillment because a prophecy was stretched to cover many more years than first anticipated (the exile for example). For some difficult prophecies such as Ezekiel’s prediction Babylon would destroy Tyre, Smith encourages the reader to humbly admit there is something anomalous in the prophecy and that we do not fully understand the situation (140). Once the descriptive outline has been detailed for the passage, the exegete must find a way to present the material to an audience. This requires using the needs of the audience to develop a thematic outline and illustrating the main principles of the text which will be of importance to the audience. Smith encourages a sermon presentation that is both theological and practical and calls for some change in action or thinking. He illustrates this method with Isaiah 31:1-9 (a near-fulfillment) and Jeremiah 23:1-8 (a distant fulfillment). Conclusion. While some portions of this book are extremely brief, the hermeneutical method presented by Smith is clear and useful. Certainly I would have liked to see far more detail in chapters 2-3, but detailed descriptions of the prophet books, especially with respect to the formation of the books goes well beyond the goals of this short handbook. A second mild criticism is the lack of attention to application of the prophets to contemporary social issues. Since many of the prophets accused their listeners of abuse of the poor and needy and a general lack of justice in their society, it seems to me this message is an easy application to contemporary American culture. Third, I wonder if Smith would consider some passages in the prophets to be “un-preachable” from the pulpit in most churches. For example, Daniel 11 has so many difficulties, it is almost impossible to preach an applicable sermon which also deals with the text in any detail. Perhaps some of the more vulgar passages would be difficult to properly treat in a church context (Ezekiel 16, Nahum 2). This Handbook reaches its goal of providing students of Old Testament prophecy the tools for teaching and preaching these important and often neglected texts. This would make a good textbook for a college or seminary class on the Prophets, especially in more conservative circles. NB: Thanks to Kregel Books for kindly providing me with a review copy of this book. This did not influence my thoughts regarding the work. Darrell Bock and Mitch Glaser have worked together on the topic of Israel in two other books published by Kregel (To the Jew First: The Case for Jewish Evangelism in Scripture and History, 2008 and The Gospel According to Isaiah 53, 2012). These two volumes collected papers from conferences sponsored by Chosen People Ministries, an evangelistic mission to Jews led by Mitch Glaser. This new book is based on a conference held at Calvary Baptist Church in New York City in 2013. Most of the participants are Evangelical who have a high view of Scripture and several are involved in some sort of ministry aimed at Jewish evangelism. Not a few of the scholars participating in the conference can be fairly described as “Progressive Dispensationalists” (Bock and Blaising, especially) although that language does not appear in the book. The first section surveys Israel according the Hebrew Bible. Eugene Merrill (Torah), Walter Kaiser (Writings), and Robert Chisholm (Prophets) contribute very brief biblical theologies of Israel. Chisholm’s contribution is especially important since the prophets looked forward to a return from exile and a reunification of Israel under a new David. This return, Chisholm demonstrates, will be the result of repentance and forgiveness at the time of a new covenant. The prophets generally teach the nations will come to restored Zion to worship Israel’s God at the Temple. Michael Brown’s chapter “The People of Israel in Jewish Tradition” is placed in the book between the Old and New Testament sections, leading me to think it would cover the Second Temple Period, but that is not the case. After spending a few pages on making six points drawn from the Hebrew Bible, Brown offers a few examples drawn from late rabbinic literature. Sadly, his longest example is taken from a website rather than the Talmud itself. He also cites Midrash Tanchuma Qedoshim, a text dated A.D. 370 attributed to Rabbi Tanchuma bar Abba and Rashi (d. 1105). By juxtaposing these later writers with the list of messianic expectations drawn from Emil Schürer’s History of the Jewish People in the Age of Jesus Christ, he gives the impression that Jews at the time of Jesus thought of Jerusalem as the “navel of the world.” Perhaps they did, but the evidence offered here does not support the claim. Darrell Bock discusses Luke/Acts. Like Matthew, Luke does not indicate God replaces Israel with Gentiles, even if that was part of God’s plan from the beginning (p. 104). Bock highlights a number of texts throughout the Gospel of Luke indicating Luke’s belief that Israel’s judgment is only for a time and they will participate in the eschatological age (p. 109). Of considerable importance is Peter’s sermon in Acts 3:18-21, in which he states clearly the “times of refreshing” will come and Israel will once again be blessed. There is nothing in this sermon even hinting that the Gentiles will replace Israel and that the promises of a “time of refreshing” has been transferred to the Gentiles. In perhaps the strangest article in the collection, Craig Evans examines Hebrews and the General Epistles. The chapter is strange because the General Epistles have very little to say about the replacement or restoration of Israel and almost nothing about the land. Evans simply points out each book in this General Epistles is written by a Jewish writer to Jewish Christians (with the possible exception of 2 Peter). That James addresses his letter to Jewish Christians in the Diaspora is significant since it presupposes Israel in the Land. While I agree with everything Evans says in this chapter concerning the Jewishness of these letters, it really has little to do with the theme of the book. The third section of the book takes on the topic from the perspective of hermeneutics and theology. Craig Blaising, Mark Saucy, John Feinberg and Michael Vlach each contribute articles challenging the supersessionist view of prophecies from the Hebrew Bible. It is significant that all four of these writers are associated with dispensationalism, but with the exception of Vlach’s historical survey, there is no clear indication they are using a dispensational hermeneutic. Blaising challenges supersessionist views on Israel by appealing to the overall narrative of Scripture, arguing popular supersessionist writers have made a “reality shift” when moving from the promises of the Old Testament to the fulfillment in the New Testament. He associates this first with W. D. Davies and his students, but Reformed biblical theology is guilty of using typology to downplay the literal fulfillment of the land promises to Israel. Mark Saucy examines the overall narrative of the Bible and argues that de-emphasizing the role of Israel in the fulfillment of Old Testament promises misses the point of the story of the Bible. Jesus clearly believed in the future new covenant hope of the Prophets. John Feinberg examines three prophecies from the Old Testament and simply observes they cannot be fulfilled if Israel has been replaced by the church because the presuppose Israel is in the land and worshiping in the Temple. Michael Vlach article on Israel in Church History demonstrates replacement theology began very early in church history. After Jerusalem was destroyed in A.D. 70 and 135, Gentile membership in the church became the majority and Church leaders became less interested in Israel and the Land. As allegorical interpretations of Scripture became the standard hermeneutic of the church, replacement theology developed rapidly, so that by the early third century, Clement of Alexandria could describe Israel as “divorced” from God and replace by the Church as a faithful spouse (p. 201). While few in the writers Reformation dealt with the restoration of Israel, seventeenth century saw a great deal of interest in evangelizing the Jewish people, often in an eschatological context. Puritan millennialism, for example, understood the conversion of Israel as a pre-requisite to the second coming (p. 206), a point he illustrates by citing Charles Spurgeon. Vlach points out Dispensationalism did not create this interest in the early nineteenth century (as is often assumed), but continued a trend with respect to the restoration of Israel. The last article in this section also takes a historical perspective. Barry Leventhal examines “Israel in Light of the Holocaust.” While Leventhal has written books on this topic, I found this chapter to be disappointing. First, he has too many extremely long citations from other writers, to the point that several pages have virtually nothing from Leventhal. Most of these citations are appropriate to the topic and some are probably necessary for Leventhal to make his point, but the fact some appear in the article virtually without comment does not strike me as good use of resources. Perhaps the article would read better if he summarized the lengthy quotations and cited the source for further reading. Second, he argues toward the end of the article for a three-exile/three return model for understanding modern Israel. The first exile is the sojourn in Egypt after Joseph, the return was the Exodus. The second exile began in 586 B.C. after the destruction of Jerusalem and the second return was after the seventy year captivity was complete. Leventhal considers the destruction of Jerusalem in A.D. 70 to be the third exile, with the third return still in the future when God calls his people back to the Land (p. 239). Leventhal does not consider Bar Kokhba in his discussion of the beginning of a third exile. On the one hand, this “third exile” sounds like standard Dispensational theology since he describes an antichrist and a great tribulation (supported with copious citations of Scripture, see his list on p. 241!) While I agree with many of the details, I question the validity of the sojourn in Egypt as an Exile, since it was not a punishment for covenant unfaithfulness. Joseph’s generation are not judged with slavery in Egypt for their failure to keep the God’s commands, in fact, Gen 50:19-21 specifically states God intended the sojourn for the good of Jacob’s family. Perhaps a better way to make a similar point is to adapt N. T. Wright’s “ongoing exile” as a way of explaining why Israel remains in exile after the return in 538 B.C. and even after the events of A.D. 70. The final section of this book looks at the question of Israel and practical theology. Michael Rydelnik looks at the Jewish people as evidence for the truth of Scripture. This essay considers the remarkable history of Israel and their survival as a people as a kind of proof that the Bible contains truth. Since both the Old and New Testaments indicate Israel will continue to exist until the end times and Israel has miraculously overcome attacks and persecution. This supernatural survival is “strong evidence of the truth of Scripture” (259). Mitch Glaser discusses the controversial topic of evangelism directed at the Jewish people. Glaser makes a clear distinction between national promises made to Israel in the Bible and personal salvation of individuals. All people must accept Messiah Jesus as savior, “being Jewish” is not sufficient to guarantee participation in the coming messianic age. Glaser believes Paul’s message “to the Jew first” is fully understood when it is coupled with Romans 11:25-27. He states that Paul himself believe that “if Jewish people are successfully evangelized then Jesus the Messiah will return” (p. 274). For Glaser, this means prioritizing evangelism to the Jews because they are God’s chosen people. This is possible and although the opposite may be true as well, that if the “full number of the Gentiles” are saved, then Messiah can return. In Acts 21, Paul hurries to return to Jerusalem by Pentecost with a gift from the Gentiles as a firstfruit offering. David Epstein tackles this same question from the perspective of a local pastor. Epstein is a Jewish Christian who has pastored Calvary Baptist Church in New York City and has been active in reaching Jewish people with the Gospel for many years. Drawing on his own experience in New York, Epstein argues continued evangelism of Jewish people is a compassionate and biblical practice because Jewish people are still loved by God. Finally, Gregory Hagg surveys “The Various Positions on Israel Currently Taught in Theological Schools.” Hagg constructed a survey seventy primarily Evangelical institutions in North America. His questions attempt to gauge the interest in these institutions in premillennial and somewhat Dispensational views of Israel and Palestine as well as their views on evangelism to Jews and Arabs. Only about twenty percent returned the survey, so the results are far from a definitive statement of what Evangelicals are doing in their seminaries. In general, the results indicated less enthusiasm at self-identifying as a Dispensationalist, and most schools do not have courses on evangelism to Jewish or Arab peoples. Darrell Bock offers a few words as a conclusion to the book highlighting the main contours of the articles. In short, these articles indicate God has made promises to Israel which he will keep in the future. Israel’s past or current unfaithfulness does not cancel out the promises of God to bring his kingdom into this world. Conclusion. I find this book fascinating since it is essentially a book on Pre-millennialism and Dispensational Theology even if it rarely uses the language of classic Dispensationalism. Most (but not all) of the writers are associated with Dispensationalism in some way or teach in traditional Dispensational institutions. Perhaps the writers avoid explicitly using the language because of recent backlashes against Dispensationalism generated by the Left Behind phenomenon or some of the invective commonly used against this once popular way of reading the Bible. Each chapter ends with a series of study questions to facilitate further discussion of the topic of the paper. A “for further reading” section appears for only paper, Bock’s contribution on Luke/Acts. Throughout the book there are URLs and QR Codes to access conference videos and additional interview material with the individual contributors to this volume.